Attorney Jeffrey M. Steenberg understands that unfortunately injuries happen, especially at work. A serious work injury can have far-reaching consequences that may impact not only you, but also your family. The painful consequences may stretch far beyond the physical to include the mental, emotional and financial well-being of everyone in your family. Caring for yourself and your family, holding down a job, or enjoying life as you did before your accident may be difficult or even impossible. Choosing the Right Workers Comp Lawyer is Crucial Choosing the right Workers Comp attorney to help you in your case can be the difference between having a positive experience or a scary one. At other large workers comp law firms, new clients are typically assigned a random attorney they know nothing about. At the Steenberg Law Firm, attorney Jeffrey Steenberg handles EVERY Workers' Compensation case from the beginning to the end. Instead of "chancing it" with a big firm, take control by choosing an experienced Workers' Comp attorney to handle your case call the Steenberg Law Firm today to speak directly with Jeff today. We Understand What Is at Stake At other large workers comp law firms, it is easy to feel like a case number instead of a client. At Steenberg Law Firm, we understand what is at stake for you, whether it is your career, lost wages or medical benefits, and for that reason, we make sure our clients are informed and not mere bystanders in their own case. After all, this is your case and we are working for you! At Steenberg Law Firm, we almost exclusively handle New York Workers' Compensation cases. 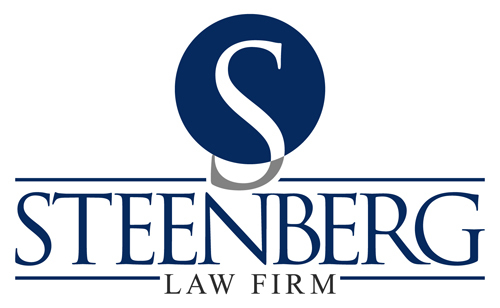 Aside from handling primarily workers' compensation cases, Steenberg Law Firm also help clients with their Social Security Disability and Personal Injury cases. Speak with attorney Jeffrey M. Steenberg today by calling (716) 558-2000. Attorney Jeffrey M. Steenberg, Esq. began early on practicing in the area of New York Workers' Compensation law. 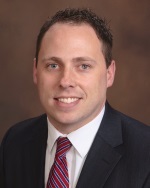 Jeff previously represented injured workers while working for a large law firm in Buffalo. However, after realizing policies at the "big" law firms often prevent using a personal approach, Jeff decided to open up his own law firm, with a focus on personally representing injured workers with honesty and compassion. Since attorney Jeffrey M. Steenberg specializes in the area of Workers' Compensation law, our firm stands out as a leader, known for having success in the field of workers' compensation law. Attorney Jeffrey M. Steenberg has represented his clients at thousands of workers' compensation hearings across Western New York. We are distinguished from other law firms because we sincerely care about our clients and the results we attain for them. Attorney Jeffrey Steenberg personally knows each client because he communicates often and takes the time necessary to provide every client with comfort and peace of mind. As a life-long resident of the Buffalo area, Jeff went on to receive his bachelor's degree from the State University of New York, College at Brockport. Jeff earned his law degree from the University at Buffalo Law School. For those dealing with work injuries, we realize that obtaining the benefits to which you are entitled can be an imperative step towards adjusting to life after an injury. That is why attorney Jeffrey Steenberg personally handles each claim diligently and aggressively in order to secure the maximum benefits to which you deserve. From the beginning of your claim to the end, Jeff will be by your side to explain how the process works and inform you of your rights and obligations under the Workers' Compensation Law.